Chicane Or Chicanery? A Breath of Fresh Air on the Hybridization Front. 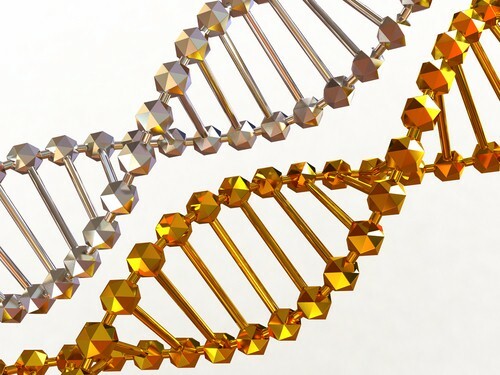 Neanderthal (silver) and modern human DNA (gold). This comment from Nature News is satisfyingly subversive, but troubling, nonetheless. 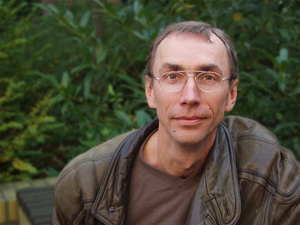 In its infancy The Subversive Archaeologist opined here, here, and again here that the then-recent conclusions of population geneticist Svante Pääbo and his team–beginning with publication of these data–was a load of hogwash. Based on the newly sequenced Neanderthal genome, his [their] claim was that the presence of identical genes in the ‘nomes–of the archaic and the modern human–demonstrated that the modern genome must have been the result of the two interbreeding. Breathtaking. No? Well, actually, no. Despite the fancy mathematics and the tone of finality in the numerous papers on the matter [including, somewhat later, the Denisovan cohort] there’s nothing to be taken from their primary observations other than that we and the Neanderthals share a common ancestor. Full stop. And who took any notice of the Subversive Archaeologist? I think you can guess. Only you, dear Reader, and your fellow visitors to this blog. And so, Ewen Callaway’s very sensible note in the August 13 Nature News comes as a complete, and refreshing, surprise. Apparently others have raised similar doubts and similar arguments in response to the genetic work, which has been trumpeted near and far by John Hawks and numberless media outlets. Callaway’s summary of the debate, and her advertisement of the literature critical of the interbreeding hypothesis, represents for me a vindication that is both too little and too late. Still, I’m encouraged by the Callaway article. My mother didn’t raise me to be a mathematician–least of all a population geneticist–which is why I, like most of my colleagues in palaeoanthropology, are mostly at the mercy of the twists and turns of argument and data that the gene-totallers publish. [Hence this blurt’s title.] Whether the interbreeding claim is just another chicane in the collective climb toward a more reality-based story of the past, or the inadvertent [even, perhaps, self-deluding] chicanery of gene teams like the 1000 Genome Project’s, most of us are forced back on our fundamental understanding of allele-frequency change through the generations, and, as well, our instincts. Neither is a comprehensively critical approach to the genetics, but it’s really all I’ve got in my defensive arsenal. As for my absence from the published debate, blame it on my mother! I must to work. Catch you later. Post scriptum: I’m humbled by the skill sets that I, an applied scientist who does archaeology, lack. There’s really nothing more productive of dismay than impotence in the face of others who’re au fait in areas that one isn’t. As I’ve previously whinged, archaeologists, moreso palaeoanthropologists, are hamstrung by gaps in their knowledge of the total breadth of disciplines that can be used in making inferences about the human past. For this reason alone, it’s imperative that we all approach new knowledge claims with a thoroughly critical eye. And if, as in my case, one lacks the knowledge to be critical of one approach or another, there is always the possibility of employing simple, informal logic when assessing newly minted knowledge. Such was the case in my approach to the latter-day claims that Neanderthals and modern humans interbred–I side-stepped the math and population biology models simply applied the fundamental principle of homology in confronting the matters that are covered in the Nature News piece. This entry was posted in 1000 genome, Denisovans, interbreeding hypothesis, John Hawks, Svante Pääbo. Bookmark the permalink. ← A Very Happy Unbirthday To Me!